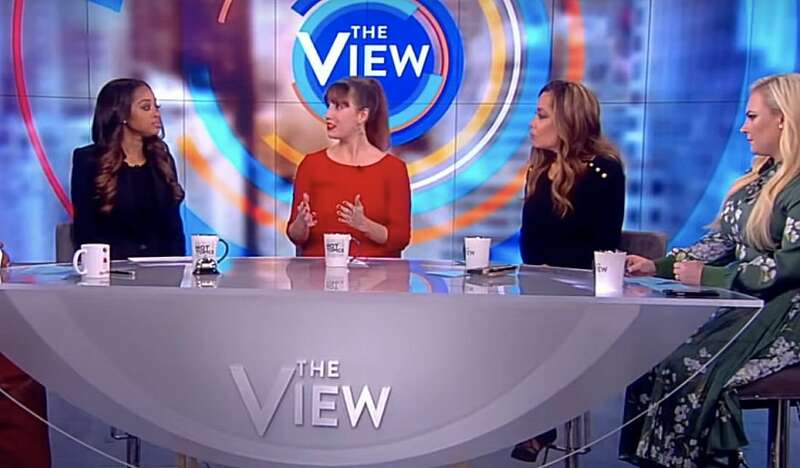 Things got heated this week when Women’s March co-founder Tamika Mallory made an appearance on The View. Monday, co-hosts Sunny Hostin and Meghan McCain grilled Mallory over her ties to Nation of Islam leader Louis Farrakhan and while the activist remained calm under fire, by the end of the segment McCain’s disdain for her guest was palpable. “I think it’s important to put my attendance, my presence at Savior’s Day, which is the highest holy day for the Nation of Islam, in proper context,” Mallory responded without skipping a beat. “As a leader, as a black leader, in a country that is still dealing with some very serious, unresolved issues, as it relates to the black experience in this country,” she continued, explaining that it’s often necessary that she go into “difficult spaces” with people who she doesn’t agree with to promote her cause. Hostin treated the interview as an opportunity for the Women’s March organizers to clear up misinformation and address their critics. But when McCain chimed in, the tone of the discussion because increasingly tense and adversarial. At several points the Republican political analyst accused Mallory and her supporters of being bigoted towards conservative women with opposing views, stating the Women’s March movement was nothing more than, “anti-Semitism masked in activism”. You can check out the full segment below.